Sulawesi, formerly known as Celebes (/ˈsɛlᵻbiːz/ or /sᵻˈliːbiːz/), is an island in Indonesia. One of the four Greater Sunda Islands, and the world's eleventh-largest island, it is situated between Borneo and the Maluku Islands. Within Indonesia, only Sumatra, Borneo and Papua are larger in territory, and only Java and Sumatra have larger populations. Four peninsulas comprise Sulawesi: the northern Minahasa Peninsula; the East Peninsula; the South Peninsula; and the South-east Peninsula. Three gulfs separate these peninsulas: the Gulf of Tomini between northern Minahasa peninsula and East Peninsula; the Tolo Gulf between East and Southeast Peninsula; and the Bone Gulf between the South and Southeast Peninsula. The Strait of Makassar runs along the western side of the island and separates the island from Borneo. The name Sulawesi possibly comes from the words sula ("island") and besi ("iron") and may refer to the historical export of iron from the rich Lake Matano iron deposits. The term "sula" is also means tines, horn or spikes, derived from Sanskrit, as trishula refer to "trident". Thus "sulawesi" means "iron spikes", which suggested that the island was also a producer of iron edged weapons. 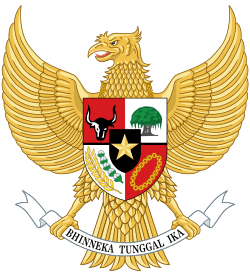 The name came into common use in English following Indonesian independence. The name Celebes was originally given to the island by Portuguese explorers. It was Portuguese rendering of native name "Sulawesi". According to plate reconstructions, the island is believed to have been formed by the collision of terranes from the Asian Plate (forming the west and southwest) and from the Australian Plate (forming the southeast and Banggai), with island arcs previously in the Pacific (forming the north and east peninsulas). Because of its several tectonic origin, faults scar the land; as a result, the island is prone to earthquakes. Following Peter Bellwood's model of a southward migration of Austronesian-speaking farmers (AN), radiocarbon dates from caves in Maros suggest a date in the mid-second millennium BC for the arrival of a group from east Borneo speaking a Proto-South Sulawesi language (PSS). Initial settlement was probably around the mouth of the Sa'dan river, on the northwest coast of the peninsula, although the south coast has also been suggested. Subsequent migrations across the mountainous landscape resulted in the geographical isolation of PSS speakers and the evolution of their languages into the eight families of the South Sulawesi language group. If each group can be said to have a homeland, that of the Bugis – today the most numerous group – was around lakes Témpé and Sidénréng in the Walennaé depression. Here for some 2,000 years lived the linguistic group that would become the modern Bugis; the archaic name of this group (which is preserved in other local languages) was Ugiq. Despite the fact that today they are closely linked with the Makasar, the closest linguistic neighbours of the Bugis are the Toraja. Pre-1200 Bugis society was most likely organised into chiefdoms. Some anthropologists have speculated these chiefdoms would have warred and, in times of peace, exchanged women with each other. Further they have speculated that personal security would have been negligible, and head-hunting an established cultural practice. The political economy would have been a mixture of hunting and gathering and swidden or shifting agriculture. Speculative planting of wet rice may have taken place along the margins of the lakes and rivers. In Central Sulawesi there are over 400 granite megaliths, which various archaeological studies have dated to be from 3000 BC to AD 1300. They vary in size from a few centimetres to around 4.5 metres (15 ft). The original purpose of the megaliths is unknown. About 30 of the megaliths represent human forms. Other megaliths are in form of large pots (Kalamba) and stone plates (Tutu'na). Starting in the 13th century, access to prestige trade goods and to sources of iron started to alter long-standing cultural patterns, and to permit ambitious individuals to build larger political units. It is not known why these two ingredients appeared together; one was perhaps the product of the other. In 1367, several polities, identified was located on the island, was mentioned in Javanese manuscript Nagarakretagama dated from Majapahit period. The canto 14 mentioned polities including Gowa, Makassar, Luwu and Banggai. It seems by 14th century, polities in the island was connected in an archipelagic maritime trading network centered in Majapahit port in East Java. By 1400, a number of nascent agricultural principalities had arisen in the western Cenrana valley, as well as on the south coast and on the west coast near modern Parepare. The first Europeans to visit the island (which they believed to be an archipelago due to its contorted shape) were the Portuguese sailors Simão de Abreu, in 1523, and Gomes de Sequeira (among others) in 1525, sent from the Moluccas in search of gold, which the islands had the reputation of producing. A Portuguese base was installed in Makassar in the first decades of the 16th century, lasting until 1665, when it was taken by the Dutch. The Dutch had arrived in Sulawesi in 1605 and were quickly followed by the English, who established a factory in Makassar. From 1660, the Dutch were at war with Gowa, the major Makasar west coast power. In 1669, Admiral Speelman forced the ruler, Sultan Hasanuddin, to sign the Treaty of Bongaya, which handed control of trade to the Dutch East India Company. The Dutch were aided in their conquest by the Bugis warlord Arung Palakka, ruler of the Bugis kingdom of Bone. The Dutch built a fort at Ujung Pandang, while Arung Palakka became the regional overlord and Bone the dominant kingdom. Political and cultural development seems to have slowed as a result of the status quo. In 1905 the entire island became part of the Dutch state colony of the Netherlands East Indies until Japanese occupation in the Second World War. During the Indonesian National Revolution, the Dutch Captain 'Turk' Westerling led campaigns in which hundreds, maybe thousands died during the South Sulawesi Campaign. Following the transfer of sovereignty in December 1949, Sulawesi became part of the federal United States of Indonesia, which in 1950 became absorbed into the unitary Republic of Indonesia. In the late 19th century the Sarasins journeyed through the Palu valley as part of a major initiative to bring the Kaili under Dutch rule. Some very surprising and interesting photographs were taken of shamans called Tadulako. Further Christian religious missions entered the area to make one of the most detailed ethnographic studies in the early 20th century. A Swede by the name of Walter Kaudern later studied much of the literature and produced a synthesis. Erskine Downs in the 1950s produced a summary of Kruyts and Andrianis work: "The religion of the Bare'e-Speaking Toradja of Central Celebes," which is invaluable for English-speaking researchers. One of the most recent publications is "When the bones are left," a study of the material culture of central Sulawesi, offering extensive analysis. Also worthy of study is the brilliant works of Monnig Atkinson on the Wana shamans who live in the Mori area. The Selayar Islands make up a peninsula stretching southwards from Southwest Sulawesi into the Flores Sea are administratively part of Sulawesi. The Sangihe Islands and Talaud Islands stretch northward from the northeastern tip of Sulawesi, while Buton Island and its neighbours lie off its southeast peninsula, the Togian Islands are in the Gulf of Tomini, and Peleng Island and Banggai Islands form a cluster between Sulawesi and Maluku. All the above-mentioned islands, and many smaller ones, are administratively part of Sulawesi's six provinces. Christians form a substantial minority on the island. According to the demographer Toby Alice Volkman, 17% of Sulawesi's population is Protestant and less than 2% is Roman Catholic. Christians are concentrated on the tip of the northern peninsula around the city of Manado, which is inhabited by the Minahasa, a predominantly Protestant people, and the northernmost Sangir and Talaud Islands. The famous Toraja people of Tana Toraja in Central Sulawesi have largely converted to Christianity since Indonesia's independence. There are also substantial numbers of Christians around Lake Poso in Central Sulawesi, among the Pamona speaking peoples of Central Sulawesi, and near Mamasa. Though most people identify themselves as Muslims or Christians, they often subscribe to local beliefs and deities as well. It is not uncommon for both groups to make offerings to local gods, goddesses and spirits. The island is subdivided into six provinces: Gorontalo, West Sulawesi, South Sulawesi, Central Sulawesi, Southeast Sulawesi and North Sulawesi. 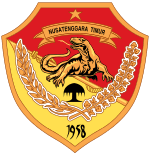 West Sulawesi is a new province, created in 2004 from part of South Sulawesi. 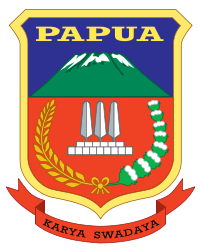 The largest cities on the island are Makassar, Manado, Palu, Kendari, Bitung, Gorontalo, Palopo and Bau-Bau. Sulawesi is part of Wallacea, meaning that it has a mix of both Asian and Australasian species. There are 8 national parks on the island, of which 4 are mostly marine. The parks with the largest terrestrial area are Bogani Nani Wartabone with 2,871 km2 and Lore Lindu National Park with 2,290 km2. Bunaken National Park which protects a rich coral ecosystem has been proposed as an UNESCO World Heritage Site. The ornate lorikeet is endemic to Sulawesi. There are 127 known mammalian species in Sulawesi. A large percentage of these mammals, 62% (79 species) are endemic, meaning that they are found nowhere else in Indonesia or the world. The largest native mammals in Sulawesi are the two species of anoa or dwarf buffalo. Other mammalian species inhabiting Sulawesi are the babirusas, which are aberrant pigs, the Sulawesi palm civet, and primates including a number of tarsiers (the spectral, Dian's, Lariang and pygmy species) and several species of macaque, including the crested black macaque, the moor macaque and the booted macaque. Although virtually all Sulawesi's mammals are placental, and generally have close relatives in Asia, several species of cuscus, marsupials of Australasian origin, are also present. By contrast, Sulawesian bird species tend to be found on other nearby islands as well, such as Borneo; 31% of Sulawesi's birds are found nowhere else. One endemic bird is the largely ground-dwelling, chicken-sized maleo, a megapode which uses hot sand close to the island's volcanic vents to incubate its eggs. There are around 350 known bird species in Sulawesi. An international partnership of conservationists, donors, and local people have formed the Alliance for Tompotika Conservation, in an effort to raise awareness and protect the nesting grounds of these birds on the central-eastern arm of the island. Sulawesi also has several endemic species of freshwater fish, such as those in the genus Nomorhamphus, a species flock of viviparous halfbeaks containing 12 species that only are found on Sulawesi (others are from the Philippines). In addition to Nomorhamphus, the majority of Sulawesi's 70+ freshwater fish species are ricefishes, gobies (Glossogobius and Mugilogobius) and Telmatherinid sail-fin silversides. The last family is almost entirely restricted to Sulawesi, especially the Malili Lake system, consisting of Matano and Towuti, and the small Lontoa (Wawantoa), Mahalona and Masapi. Another unusual endemic is Lagusia micracanthus from rivers in South Sulawesi, which is the sole member of its genus and among the smallest grunters. The gudgeon Bostrychus microphthalmus from the Maros Karst is the only described species of cave-adapted fish from Sulawesi, but an apparently undescribed species from the same region and genus also exists. Orange delight shrimp (Caridina sp.) from Sulawesi. There are many species of Caridina freshwater shrimp and parathelphusid freshwater crabs (Migmathelphusa, Nautilothelphusa, Parathelphusa, Sundathelphusa and Syntripsa) that are endemic to Sulawesi. Several of these species have become very popular in the aquarium hobby, and since most are restricted to a single lake system, they are potentially vulnerable to habitat loss and overexploitation. There are also several endemic cave-adapted shrimp and crabs, especially in the Maros Karst. This includes Cancrocaeca xenomorpha, which has been called the "most highly cave-adapted species of crab known in the world". The island was recently the subject of an Ecoregional Conservation Assessment, coordinated by The Nature Conservancy. Detailed reports about the vegetation of the island are available. The assessment produced a detailed and annotated list of 'conservation portfolio' sites. This information was widely distributed to local government agencies and nongovernmental organizations. Detailed conservation priorities have also been outlined in a recent publication. ↑ Technically, Tomini and Boni are defined as gulfs by the International Hydrographic Organization, while Tolo is considered a bay of the Malukka Sea. ↑ Watuseke, F. S. 1974. On the name Celebes. Sixth International Conference on Asian History, International Association of Historians of Asia, Yogyakarta, 26–30 August. Unpublished. 1 2 3 4 Von Rintelen & al. (2014). ↑ Ian Glover, "Leang Burung 2: an Upper Palaeolithic rock shelter in South Sulawesi, Indonesia". Modern Quaternary Research in Southeast Asia 6:1-38; David Bulbeck, Iwan Sumantri, Peter Hiscock, "Leang Sakapao 1; a second dated Pleistocene site from South Sulawesi, Indonesia". Modern Quaternary Research in Southeast Asia 18:111-28. ↑ C.C. Macknight (1975) The emergence of civilization in South Celebes and elsewhere, in A. Reid and L. Castles (ed.) Pre-Colonial state systems in Southeast Asia. Kuala Lumpur: Malaysian Branch of the Royal Asiatic Society: 126-135. ↑ Gert-Jan Bartstra, Susan Keates, Basoek, Bahru Kallupa (1991) "On the dispersal of Homo sapiens in Eastern Indonesia: the Paleolithic of South Sulawesi". Current Anthropology' 32(3): 317-21. ↑ David Bulbeck, Iwan Sumantri, Peter Hiscock, "Leang Sakapao 1; a second dated Pleistocene site from South Sulawesi, Indonesia". Modern Quaternary Research in Southeast Asia 18:111-28. ↑ Peter Bellwood,1997, The prehistory of the Indo-Malaysian archipelago. (Honolulu: University of Hawaii Press). ↑ Bulbeck, F.D. 1992. 'A tale of two kingdoms; The historical archaeology of Gowa and Tallok, South Sulawesi, Indonesia.' Ph.D thesis, The Australian National University. ↑ Jennifer Hile (12 December 2001). "Explorer's Notebook: The Riddle of Indonesia's Ancient Statues". National Geographic. Retrieved 11 December 2012. ↑ Caldwell, I.A. 1988. 'South Sulawesi A.D. 1300–1600; Ten Bugis texts.' Ph.D thesis, The Australian National University; Bougas, W. 1998. 'Bantayan; An early Makassarese kingdom 1200 -1600 AD. Archipel 55: 83-123; Caldwell, I. and W.A. Bougas 2004. 'The early history of Binamu and Bangkala, South Sulawesi.' Bijdragen tot de Taal-, Land- en Volkenkunde 64: 456-510; Druce, S. 2005. 'The lands west of the lake; The history of Ajattappareng, South Sulawesi, AD 1200 to 1600.' Ph.D thesis, the University of Hull. ↑ Crawfurd, J. 1856. A descriptive dictionary of the Indian islands and adjacent countries. London: Bradbury & Evans. ↑ Bassett, D. K. (1958).and ruled a base in Makassar since the mid-16th century to the year 1665, when it was taken by the Dutch. English trade in Celebes, 1613-67. Journal of the Royal Asiatic Society 31(1): 1-39. ↑ Balinese of Parigi, Central Sulawesi (Davis 1976), however she gives no source. ↑ Eija-Maija Kotilainen – History – 1992. ↑ IHO (1953), §48 (d). ↑ IHO (1953), §48 (k). ↑ IHO (1953), §48 (c). 1 2 Froese, Rainer, and Daniel Pauly, eds. (2014). Species of Nomorhamphus in FishBase. July 2014 version. ↑ Froese, Rainer and Pauly, Daniel, eds. (2014). "Tondanichthys kottelati" in FishBase. April 2014 version. ↑ Saturi, O.S. (31 May 2012). Ikan, Kepiting dan Udang Buta Penghuni Karst Maros. Mongabay-Indonesia. Retrieved 23 November 2012. 1 2 von Rintelen, K., and Y. Cai (2009). Radiation of endemic species flocks in ancient lakes: systematic revision of the freshwater shrimp Caridina H. Milne Edwards, 1837 (Crustacea: Decapoda: Atyidae) from the ancient lakes Of Sulawesi, Indonesia, with the description of eight new species. Raffles Bulletin of Zoology 57: 343-452. 1 2 Chia, O.C.K. and P.K.L. Ng (2006). The freshwater crabs of Sulawesi, with descriptions of two new genera and four new species (Crustacea: Decapoda: Brachyura: Parathelphusidae). Raffles Bulletin of Zoology 54: 381–428. ↑ Deharveng, L. , D. Guinot and P.K.L. Ng (2012). False spider cave crab, (Cancrocaeca xenomorpha). ASEAN Regional Center for Biodiversity Conservation. Retrieved 13 November 2012. ↑ von Rintelen , T., K. von Rintelen, and M. Glaubrecht (2010). The species flock of the viviparous freshwater gastropod Tylomelania (Mollusca: Cerithioidea: Pachychilidae) in the ancient lakes of Sulawesi, Indonesia: the role of geography, trophic morphology and color as driving forces in adaptive radiation. pp. 485-512 in: Glaubrecht, M., and H. Schneider, eds. (2010). Evolution in Action: Adaptive Radiations and the Origins of Biodiversity. Springer Verlag, Heidelberg, Germany. ↑ "– Cannon, C.H. et al." – Developing conservation priorities based on forest type, condition, and threats in a poorly known ecoregion: Sulawesi, Indonesia; "Biotropica" OnlineEarly!